We are still on it, researching the background, but currently it is hard to say who the managing company is and where the license comes from. Instant adaptation for smartphones and tablets, as well as desktop version are available. The cashier is limited to a few currencies and deposit/withdrawal methods. Not only slots, but also table games, video poker and arcades are available in the lobby. The needs of newly registered users and regulars are covered with an array of welcome and ongoing propositions. While most of the new gambling destinations manage cash-outs within 24 hours, here a few days may be needed. 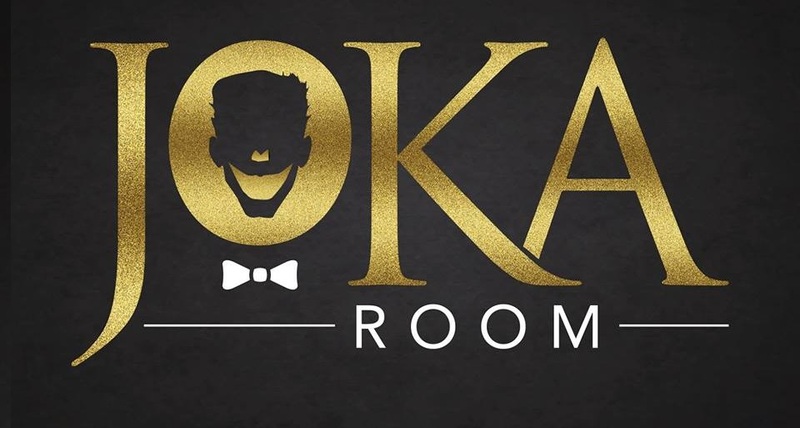 JokaRoom was established in 2018. Content is adapted only to English, and all games are browser-based and cross-platform, which means that visitors can play instantly from desktops and mobile devices. No other betting options are added to games. Registration is required to see the full game lobby, place stakes and win real money, as well as use promotions. The sign-up procedure requires account settings and a statement of personal and address details. This is a platform that caters to the players on budget. It allows deposits from the minimum of USD 20, and all payouts are limited to USD 10,000 per day and 40,000 per month. Alternatively, cash is accepted in Australian, Canadian, and New Zealand dollars, Euros, and Russian ruble. All standard methods are allowed for financial transactions: Visa and MasterCard cards, Neosuf prepaid voucher, and bank transfer. Withdrawals start from an amount as low as USD 20. From three to five business days are reserved for processing cash out requests, but winners say it sometimes takes up to six days. This is the section to compare and contrast experience and opinions of the gambling portals and registered customers. However, by the time we were ready to share our evaluation, this place to bet and win was not featured at any of the popular portals that we monitor. We will keep up with any new information and update the web reputation portion when something worthy of attention comes up. Possible Promotions: Welcome offers, daily deals, and bonuses on new games are among the regular propositions. Game Contribution: Slot machines contribute from 75% to 100%, while table games count up to 8%, and video poker games – only up to 2% towards the play-through terms. Bonus Codes: These are not needed, and if claimed, all offers are added automatically after depositing. Wagering Requirements: These are high, with 50xB for welcomes, and 40xB for other deals. All newbies can claim the welcome bonus, which is a cash match that can reach a couple thousand dollars and also topped with a certain amount of free spins. Regulars can benefit from diverse daily deals. Among them are Mysterious Mondays, Twisted Tuesdays. Wacky Wednesdays, Thrilling Thursdays, and weekend promotions. Those who wager constantly can count on VIP program and benefits. These include faster payouts, exclusive promotions, preferential cash-ins, personal assistance, and more. There is only one lobby, where releases are categorized by pokies, games, roulette, blackjack, baccarat, video poker, craps, table play, and progressive releases. Among reeled machine hits we spotted Greedy Goblins and It Came from Venus by BetSoft, as well as several other regular and jackpot titles from this 3D content supplier.